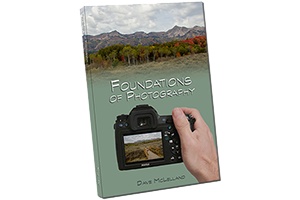 The Canon EF 85mm f/1.2L II USM telephoto prime lens is a great portrait lens on Full Frame and APS-C bodies. With it’s f/1.2 max aperture the depth of field can be so minimal that you can have your subjects eyeball in focus and their eyelashes start to be out of focus (which is a bit to shallow in my opinion). This also makes the lens great for low-light applications such as concerts, plays and some sports. On full frame bodies this lens is a moderate telephoto and on APS-C bodies such as the Rebel series cameras the lens is similar to a 135mm on full frame. 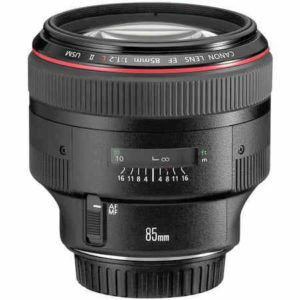 The Canon EF 85mm f/1.2L II USM lens has excellent image quality and is frequently well reviewed. Of course when used wide open the image is a little soft, but stopped down to between f/2.8 and f/8 the lens sharpens up quite well. After f/8 diffraction starts to take it’s toll, but the lens is still very usable up to f/16. Being part of Canon’s “L” family of lenses, the Canon EF 85mm f/1.2L II USM is built to that standard which is to say the lens is built like a tank. Working pros are hard on their equipment and as such their gear needs to be tough. If you need shallow depth of field or find yourself working in low light conditions often then I highly recommend this lens, if you can afford it that is. Just be careful when shooting portraits at f/1.2 as the depth of field can be so shallow that your subject will appear soft. When shooting couples be sure to stop down a bit so both subjects are in focus. based on 986 user reviews online.